This article discusses the history, purpose and application of anti-deficiency laws as a borrower’s defense to personal liability for payment of debts secured by real estate. Are owners losing their shield? A buyer of real estate who executes a promissory note in favor of either a lender or a carryback seller agrees to pay the dollar amount of the debt as promised. Editor’s note: Purchase-money debt does not include purchase-assist loans which fund the purchase of property other than one-to-four residential units. Occasionally, the fair market value (FMV) of the secured real estate is insufficient to satisfy the debt upon a foreclosure. However, the buyer as maker of the promissory note is still personally responsible for the amount remaining unsatisfied after foreclosure. For the lender or carryback seller to enforce collection by a money judgment for the debt remaining unpaid due to an underbid at the foreclosure sale, the lender or seller holding the note must have avoided allowing the buyer an anti-deficiency defense. Until the 1930s, the maker of a note evidencing a debt secured by any type of real estate remained personally liable and subject to collection of any deficiency in the property’s value by an award of a money judgment after a judicial or nonjudicial (trustee’s) foreclosure. For example, a lender holds a note which evidences a loan secured by a trust deed on the borrower’s principal residence purchased by the loan funds. The homebuyer defaults on the note. The lender forecloses by a trustee’s sale and recovers the property for less than its FMV by entering a credit bid for a fraction of the dollar amount of the secured debt, called an underbid. Prior to the mid-1930s, the lender would then be able to sue and obtain a money judgment for the difference between the amount of the underbid and the amount due on the note. The judgment would then be awarded without regard for the FMV of the real estate at the time of the foreclosure sale. After the payment of the money judgment, the homebuyer would not be entitled to recover the property. Foreclosure by a trustee’s sale barred any later redemption or recovery of the real estate by the wiped-out homebuyer. Thus, in addition to losing the secured real estate, the homebuyer or investor would also remain burdened with the responsibility of paying off the balance of a debt he incurred to buy the property which he now no longer owns. This scenario of the Great Depression, allowing the lender to acquire the property on an underbid at a trustee’s sale and also obtain a deficiency judgment against the borrower for any remaining balance due on the note, came to an end in California in the late-1930s. In the 1920s, the economy was booming. Real estate values were high and rising, and real estate prices and public confidence in the future were even higher, not unlike the giddy early 2000s. However, the 1930s ushered in an economic depression which, due in part to the abrasive foreclosure practices of lenders and carryback sellers (as well as a penurious, moral-stricken Federal Reserve), devastated values in the real estate market. Along with the economy and banks, real estate values plunged, foreclosure sales were rampant and the loss of homeownership escalated out of control. With the additional burden of an owner’s personal liability for a deficiency in his property’s value, the chances of financial recovery for most owners who lost property through a trustee’s foreclosure were slim. The easiest way to effectively escape from the judgment and the arm of the law was to move to another state. Consider a seller who carries back a note and trust deed on a property he sold. Later, during a real estate recession, the buyer of the property defaults and is unable to sell the property to pay off the note. The seller commences foreclosure by recording a notice of default (NOD). Prior to the trustee’s sale, the buyer and seller modify the note to include a provision stating the buyer waives his anti- deficiency protection in exchange for the seller canceling the NOD. Ultimately, the first trust deed holder forecloses, wiping out the seller’s second trust deed. 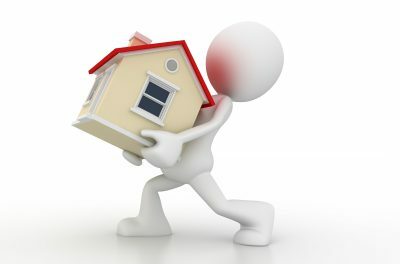 The carryback seller seeks to recover the amount owed him on the note since his security interest under the trust deed lien has been exhausted by the first trust deed lienholder’s foreclosure. The buyer claims the seller is barred from any recovery on the note since enforcement of the debt evidenced by the carryback note is subject to anti-deficiency defenses held by the buyer which cannot, as a matter of public policy, be waived. The seller claims the buyer waived his anti-deficiency protection by an agreement in writing which modified the note and trust deed in exchange for the seller’s forbearance of foreclosure by canceling the NOD. Can the seller recover on the carryback debt based on the modification and waiver agreement? Anti-deficiency laws shift the risk of loss from a buyer to a purchase-money lender and the carryback seller when the value of a secured real estate is inadequate to fully satisfy a debt. For example, sellers with precarious promotional schemes who carry back notes based on overinflated prices and secured only by the property sold are economically restrained by their inability to recover more than the value of a property on a default. The sole source of recovery for a carryback seller with no additional security is the property sold. No recourse to the buyer is allowed on a carryback note secured solely by the property sold. Consider a seller of real estate who locates a buyer who will pay an overinflated sales price, or the property sold later suffers a drop in value. To help finance the buyer’s purchase of the property, the seller carries back a note secured by a trust deed lien on the property sold. Later, the buyer defaults on the carryback note, realizing the property is overencumbered for its value. The seller forecloses, judicially or nonjudicially, and the property is sold at a foreclosure sale for less than the amount owed on the note. The carryback seller whose sales price is overinflated, or the property he sold experiences a drop in value, will not benefit beyond the price received at the foreclosure sale. The value of the real estate securing a purchase-money debt may become inadequate to cover the debt due to falling real estate values caused by a local or general economic downturn, as opposed simply to an unrealistically inflated price at the time of sale. Consider a home buyer who obtains a 30-year purchase-assist loan from a lender to fund the purchase of a one-to-four unit residential property. A few years later the local economy becomes depressed, causing the fair market value of the property to drop below the balance remaining unpaid on the loan. The borrower defaults and the lender reacquires the property on an underbid at a foreclosure sale. The underbid at the foreclosure sale results in an unpaid balance remaining on the debt. Can the lender who funded the purchase-assist loan secured by the one- to-four unit residential property, acquired with the loan funds and occupied by the borrower, enforce collection of the unpaid balance remaining on the note? Consider a seller who carries back two notes on the sale of a single parcel of real estate after a 5% down payment. Each note evidences separate amounts due the seller, totaling 95% of the property’s total sales price. One note in an amount equal to an 80% loan-to-value (LTV) ratio is secured by a trust deed on the property sold. The other note for 15% of the sales price is secured by a trust deed on other property owned by the buyer. The notes are not cross collateralized and a default on one note does not constitute a default on the other under the dragnet clause in the trust deeds. The buyer defaults on both notes. The seller completes a foreclosure sale under the trust deed he carried back on the property he sold to the buyer. A judicial foreclosure is then initiated against the buyer’s other property under the separate note and trust deed in an effort to recover what will be a deficiency in the other property’s value at the time of the judicial foreclose sale. The buyer claims the foreclosure on his other property violates anti-deficiency law since the second foreclosure is an attempt to recover a deficiency on the price paid for property the buyer no longer owns and the seller recovered by a trustee’s sale. Can the seller foreclose on the buyer’s other property under the separate debt? As a consequence, a judicial foreclosure is costly to the lender both in time and money. Also, the lender faces the risk of a further decline in the property’s value after the foreclosure sale, as well as the risk of being unable to recover a money award. Thus, a trust deed lender holding a recourse (or nonrecourse) note can foreclose quickly and inexpensively through the trustee’s sale procedure. The owner’s right to redeem the property by payment of the debt in full is terminated on completion of the trustee’s sale. 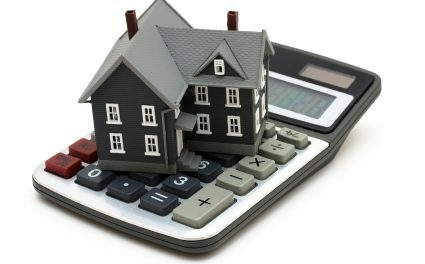 When faced with an economic downturn, such as the recession which occurred in the early 1990s, homeowners and installment sale buyers need the protection of anti-deficiency laws against lenders and carryback sellers if they are to continue to live in California and contribute to the state’s economy. This same economic scenario looms for the period following 2006. However, signs of the erosion of the long-standing public policy behind the anti-deficiency defense against excess lending on secured debt can be seen in the California legislation which was passed to benefit lenders and carryback sellers in 1994, as well as changes in the federal bankruptcy law in 2005. Lenders are very good at lending too much money and lobbying governments to cover mistakes. Although the borrower is ultimately liable for repayment of any amounts drawn by the lender or carryback seller on the letter of credit, the lender or carryback seller holding the letter of credit is no longer barred from using it after a trustee’s foreclosure has been completed to recover any deficiency due to an underbid. This procedure is quicker and slicker than a judicial foreclosure, appraisals, a money judgment and pursuit of its collection. Additionally, a letter of credit has been legislatively re-classified. It may no longer be legally considered a guarantee or additional security, although the economic function of enforcing a letter of credit has the same economic function as the enforcement of a guarantee or additional security. Unlike a guarantor, the issuer of a letter of credit, usually a banker, does not receive the same protection he would under a guarantee. A guarantor is entitled to a notice of foreclosure and an opportunity to purchase the guaranteed note before the completion of a foreclosure on the property, unless the guarantor waives his right to a notice in writing. Further, unlike additional security, a letter of credit can be drawn on by a lender or carryback seller before completing a judicial foreclosure. 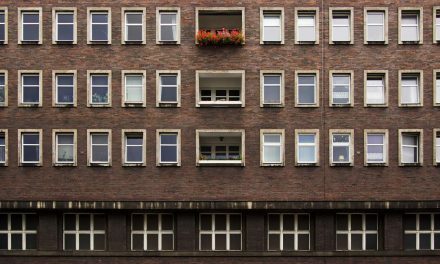 The draw does not then bar the foreclosure for having enforced collection without first resorting to the secured property, called the one-action rule. Borrowers currently protected from the letter of credit device are homebuyers, small-time investor/occupants of one-to-four unit residential properties, and those borrowers who refuse to provide a letter of credit that would allow the lender to draw on it without the borrower’s further approval. 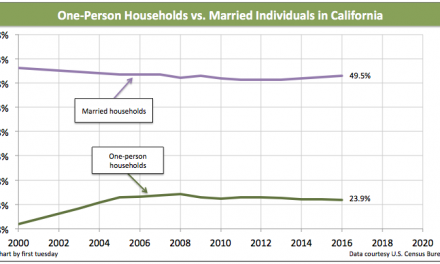 Ironically, in the 1990s, during the second greatest economic downturn in California during the twentieth century, the state legislature passed laws diminishing the effects of prior legislation designed to protect borrowers and create a viable financial environment which would induce borrowers who have gone bust to remain in California as contributing residents. A letter of credit is now legislatively considered a source of payment, not a form of security, which is available to be called on by the lender at any time. Thus, a borrower defaulting on any debt secured by real estate (excluding an owner-occupied, one-to- four unit residence) and accompanied by a letter of credit, has lost the much needed protection that anti-deficiency law provides against reckless lending, boomtime mentality and dramatic declines in the real estate economy. The borrower’s anti-deficiency shield and economic cushion has been diminished by the permissible use of a letter of credit, in addition to a trust deed lien on real estate, circumventing the right of redemption which follows an award of a money judgment for any deficiency in the value of the secured property.